Fairfield Township’s Elm Grove school house (School District No. 4) was built in 1866 near Brookville Road in Fairfield, Iowa, and was moved in 1962 to the Jefferson County Agricultural Fairgrounds. 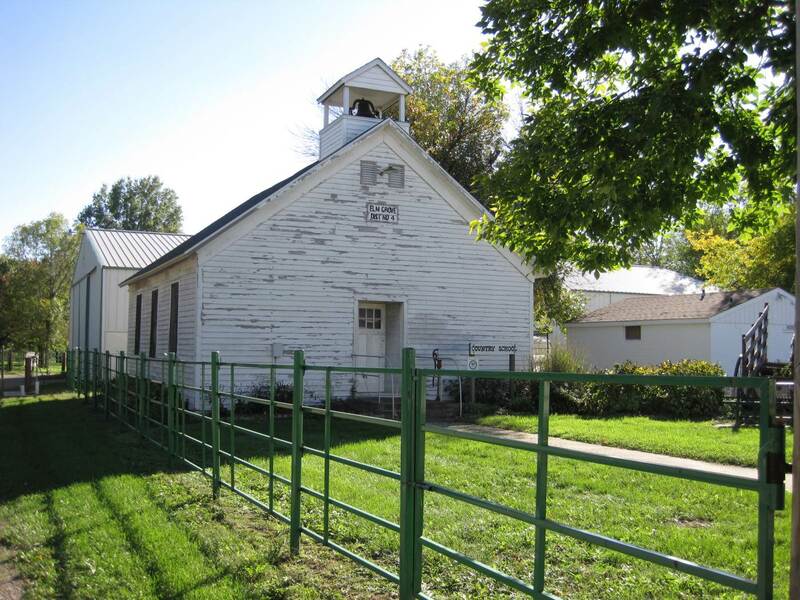 In the YouTube video (below), Gloria Countryman gives directions to the historic one-room school house’s original site, and provides a glimpse of the school house in its new location. Open to the public during special events. View a YouTube video narrated by Gloria Countryman, also linked from the Fairfield Iowa History webpage. 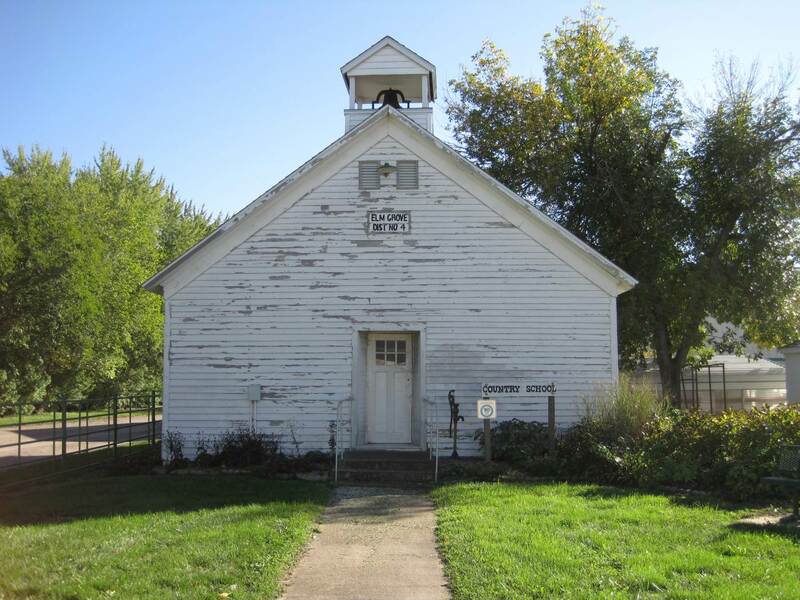 More information and photos of the Elm Grove School House, on the Jefferson County Heritage webpage. Elm Grove school house Oct 8, 2017.